Many photographers with access to DSLR cameras use RAW output for the benefits this brings, but many images are in other forms, especially JPEG. 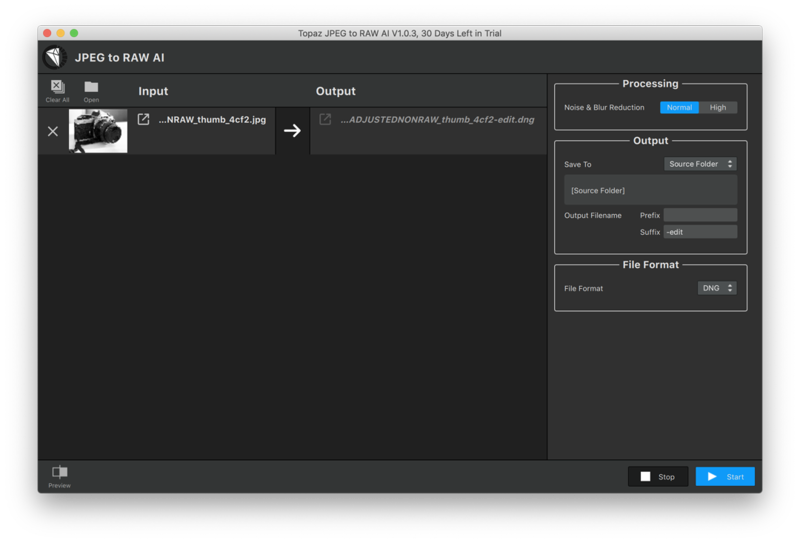 An app from Topaz Labs uses AI and neural networking to recreate JPEGs with output in RAW (DNG) or TIFF. Almost as soon as I started using DSLR cameras, I saw the sense in using RAW images, sometimes referred to as a digital negative: the basic image data captured by a DSLR. With the iPhone I now have apps such as Halide that take photos in RAW (DMG). I do not use these all the time, and I also have many images taken before the RAW API was made available. Sebastian de With, one of the developers of the iOS photo app, Halide, that takes RAW images, wrote an excellent article on editing such images. 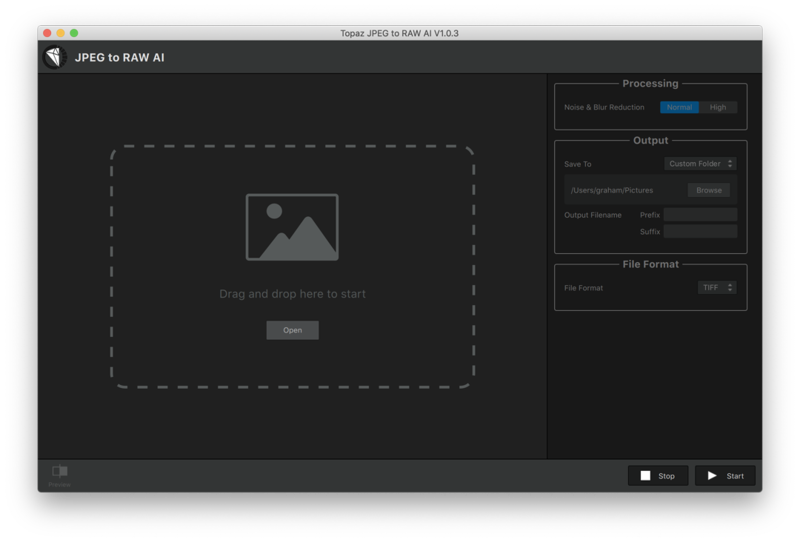 Topaz Labs have produced an application - Topaz JPEG to RAW AI - available for the Mac and other platforms that allows a user to create a RAW image from JPEG input. I have been trying this out using the 30-day test version. The full version is $99.99, but there is currently a $79.99 introductory offer (until 8 Feb). The app uses artificial intelligence (AI) and a neural network to estimate probabilities for what is missing in a JPEG image - these are normally compressed so less information is available - and produces output that is improved. This does sound like creating something out of nothing, but the software is designed to make millions of decisions about what may reasonably be expected to be there. Computers usually work with binary input: yes/no, on/off, true/false; but neural networks build sets of probable or possible decisions (Yes/no/maybe/perhaps) using input in training from multiple images. I saw this done with a concept paper for character-recognition with Thai handwriting. One of my students is currently working on a project using face-recognition to judge a speaker's emotions and is similarly taking input from scores of images tom train the system. I first saw information about this JPEG to RAW conversion software in an article by Dr. Feng (Albert) Yang on Petapixel, who wrote a technical overview of the application, sponsored by Topaz Labs. When installed on the Mac, the app opens with a simple panel onto which a user may drop an image. I did this directly from Photos, although most images I tried were on the desktop. It is probably better (using one of the options on the right of the panel) to allocate a destination folder, rather than the source, as output may be easier to find. I started with several images of about 500 to 700 KB. The conversion process took up to a minute, depending on input size. 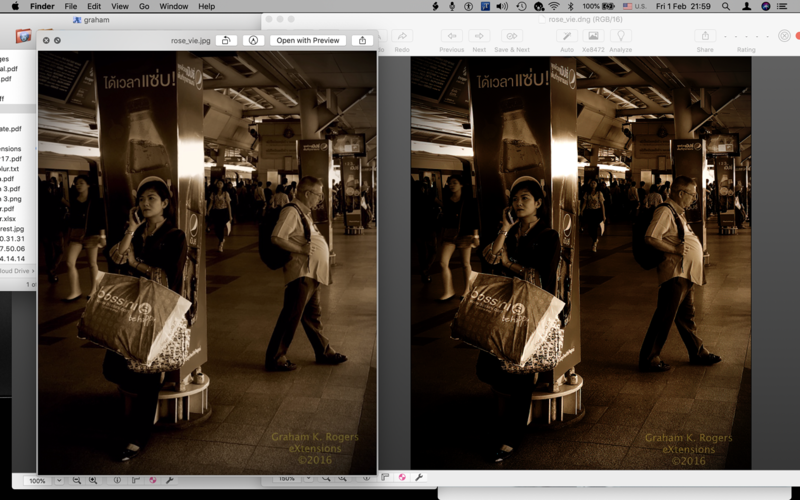 Output also varied on whether I used the TIFF or the DNG option, with the latter being more economical. For scanning I tend to use TIFF, which produces quite hefty uncompressed files. DNG are Digital Negative Files, a format developed by Adobe, but as I have no software from that developer on my Macs, the files show no icon. 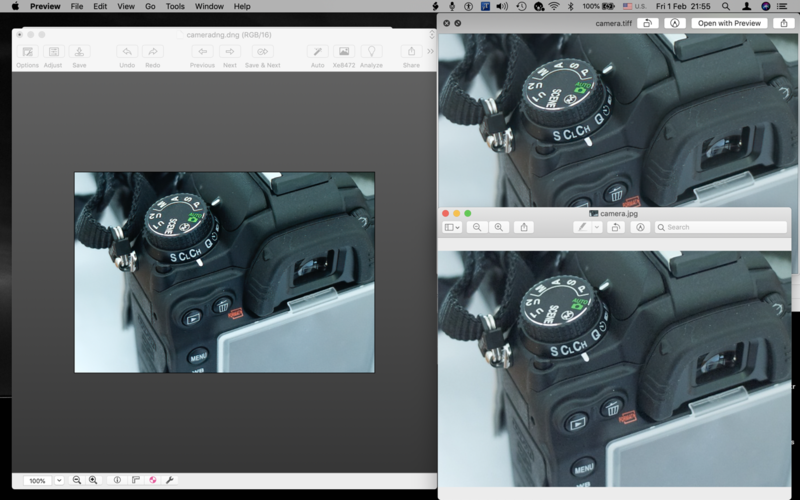 I selected a suitable application (several on the Mac can handle DNG) and they were displayed without problem. I later used the Finder to allocate a specific application (Graphic Converter).  The TIFF files showed a mini icon of the image itself. As a more realistic test, an unedited medium-size JPEG export of 1.4MB taken from a 35mm slide scan produced DNG and TIFF images of 8.1MB and 7.8MB respectively. This seems to me to be a more representative task. Output images in all cases were certainly crisper and sharper. A close look showed some better definition of certain attributes. Vacuum tubes, for example, in a scanned photograph of the reconstructed Colossus at Bletchley Park were clearer: and this is tiny detail within the image. A photograph of my Nikon camera was sharper in the TIFF file, but considerably crisper in the DNG file. There were similar improvements with other images I ran through Topaz JPEG to RAW AI. This type of software may not be useful for everyone, but there is a real value for the recovery of older images. For example, when I my PowerBook was stolen a few years back, all images were lost (a hard lesson about backing up), but one or two were on other devices, albeit smaller and saved as JPEGs. As some of these have sentimental value, I could perhaps recreate images of a higher quality. The application is the result of some quite interesting work with a practical function. I would recommend this for those who need such features: the ability to produce higher quality output from limited image input, such as might come from social networking sites or from smartphones with basic output.